Tallin digital Summit, the European ministers have decided upon their targets for digital advancement. Transforming Europe into a truly digital continent within 2025 - this is one of the targets listed by the Estonian Prime Minister, Juri Ratas during the conclusion of the Tallin Digital Summit. During the conference dedicated to the development of ICT solutions and technological advancement, which enable the European Institutions to place themselves at the forefront of the digital sector, it was undersigned at the e-Government Declaration. The document was underwritten by the Member States of the EU and the EFTA (European Free Trade Area) within the context of the Estonian Presidency of the EU Council, in which the common objectives were decided upon for the following five years, further establishing the following principles and objectives. Once-only. According to this principle, an efficient management of public services is only possible by eliminating redundant information and costs, coordinating activities involving spreading and archiving data at a European level. Using a horizontal approach that enables extending the exchange and sharing of successful e-Government practices to speed up digital transformation at all levels of government, both local or central. The development of e-government is therefore fundamental in implementing these targets and exploiting new digital opportunities. 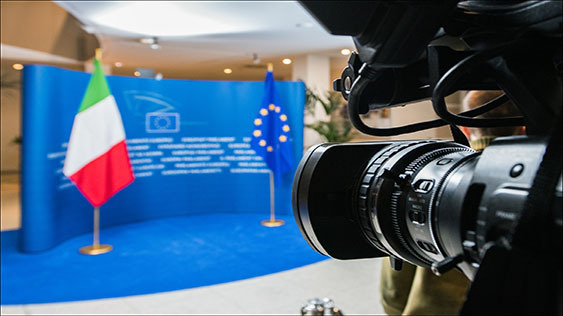 Not only for digital advancement in Europe but to enhance the trust that citizens have in their governments, by incrementing transparency, reliability and integrity to be found in public governance.